There is a trick to knowing how to send the perfect Mishloach Manot gift. There are two ways of doing this right. 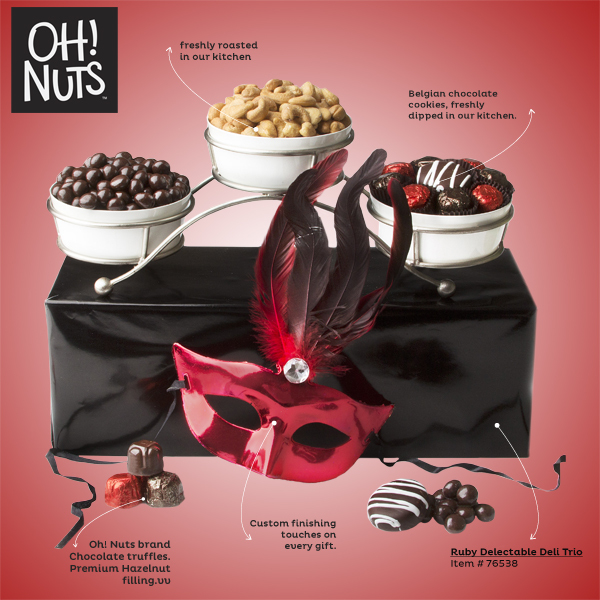 You can send a gift that works perfectly for their family and will last beyond Purim. Or, word a cute message that shows what you are sending is tailored for them. You go to their house often for Shabbos. They have a lovely couch and coffee table, and the greatest reading materials. But when the lights go out with the Shabbos timer, no one can linger reading. How about getting them the Shabbos lamp Shalach Manos? Your shvigger always has the weekly publications in a stack on the couch, that then get shoved to the floor, that then get moved to the table, and then to a chair, and then get trampled on. Send the wrought-iron magazine rack Shalach Manos to keep those magazines handy and neat, a Shalach Manos sure to be appreciated by your mother-in-law. 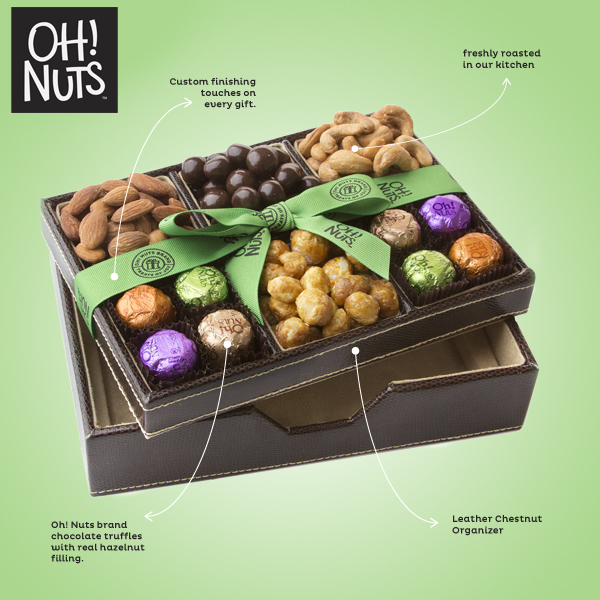 Supposing you want to go with something as affordable as this three-piece truffle box for your neighbor. You make it personal when you add the note, such as this one: “For children there are stars, for adults there are truffles. Here are the three truffles on your truffle chart. You always make time for my calls, you have a great sense of humor and you make a great neighbor because you let my kids hang out in your driveway!” Suddenly, the Shalach Manos is a personal note, not just a generic box. Your children’s teachers work hard and you want those teachers to be a trusted partner in the education of your children. Use clever Shalach Manos to show they are appreciated, such as this leather desk organizer. Your local Orthodox Rabbi fields your calls, teaches you, guides you. Show him that you aren’t just a sheep not knowing the shepherd. 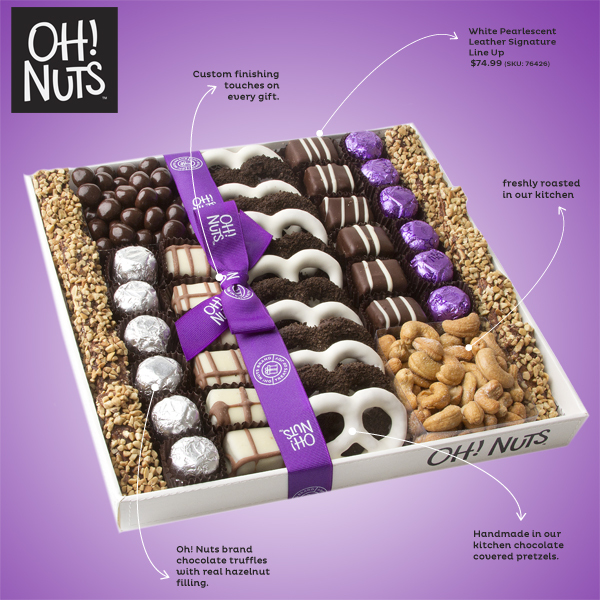 Send your Rabbi this gift basket and thank him for leading your family on the right way. If you are in the Jewish business world, it is way more appropriate to send your Jewish colleagues, clients and vendors Kosher corporate gifts based on the Jewish calendar, rather than imitate the secular calendar. Don’t leave out Purim good wishes for your largest customers. 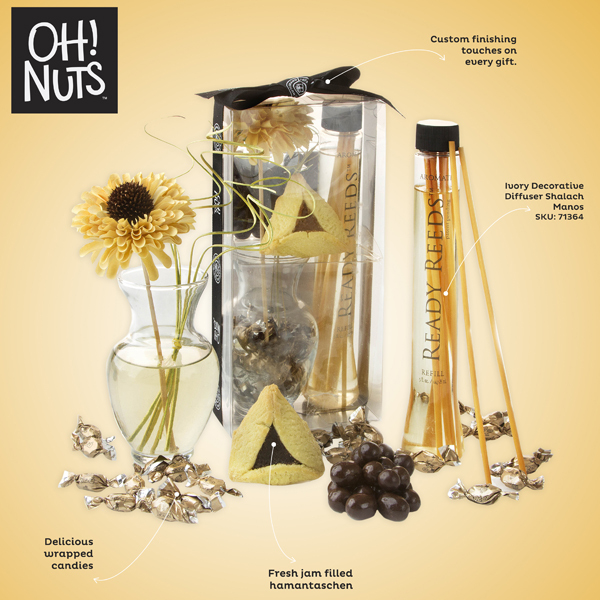 Here are some smashing examples of Purim corporate gifts that make a favorable and classy corporate impression. Incorporating a toy into the Shalach Manos gives children what to do instead of kvetching when bored. It also makes sure that the kid carries great memories of Purim and a memento of the great day into the rest of the year. These bulk Shalach Manos packs allows you to give out multiple Mishloach Manot easily. Light to carry, easy to stack and store, handy to use so that you don’t end up with anyone in your world insulted that they didn’t get a Shalach Manot from you. 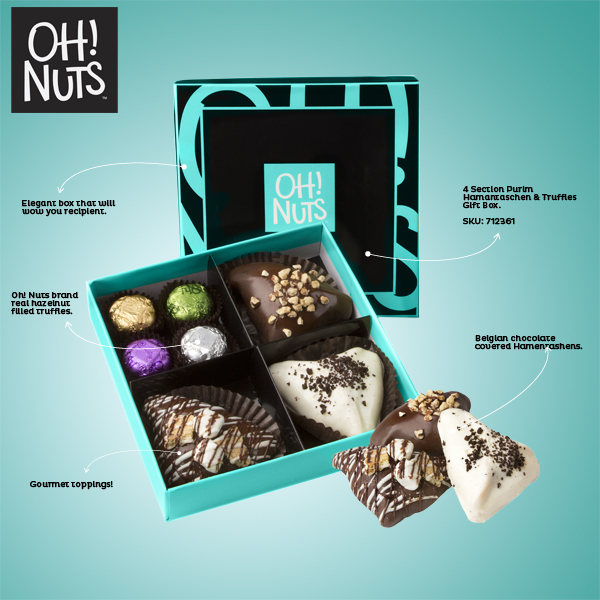 Luscious hand-crafted truffles. Rich Viennese crunch. If you like decadent snack foods, pick the ones that are your favorite and send it to your favorite friends. In our day and era, you don’t have to leave out your friends and loved ones in Israel.